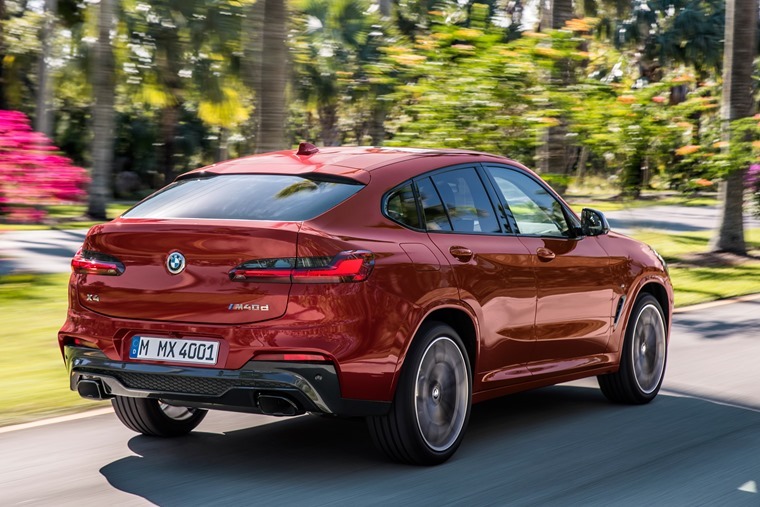 Marketing itself as the first ever Sports Activity Coupe, the original BMW X4 was a big success for the German manufacturer. Ahead of its debut at the 2018 Geneva Motor Show, the first pictures and details have been released for the second generation model. Bringing together the hallmark features of a BMW X model with the sporting elegance of a coupe - a formula that saw its predecessor achieve over 200,000 global sales since its debut in 2014 – the new X4 gains enhanced driving dynamics, standout exterior design with a strong coupe silhouette and even more refinement, along with state-of-the-art driver assistance systems and connectivity. 81mm longer than its predecessor, with 54mm added to the wheelbase and 37mm extra width as well as lowered by 3mm, these elements come together to give the X4 dynamically stretched proportions to emphasise its perfect 50:50 weight distribution and hint at the enhanced performance potential. Retaining the brand’s trademark kidney grille and twin headlights, the side profile is marked out by a sweeping shoulder line with clearly defined haunches and distinctive wheel arches, while the lean coupe roofline has been enhanced by a smoothly rising sill line and clearly structured surfaces and horizontal lines to shape the rear. 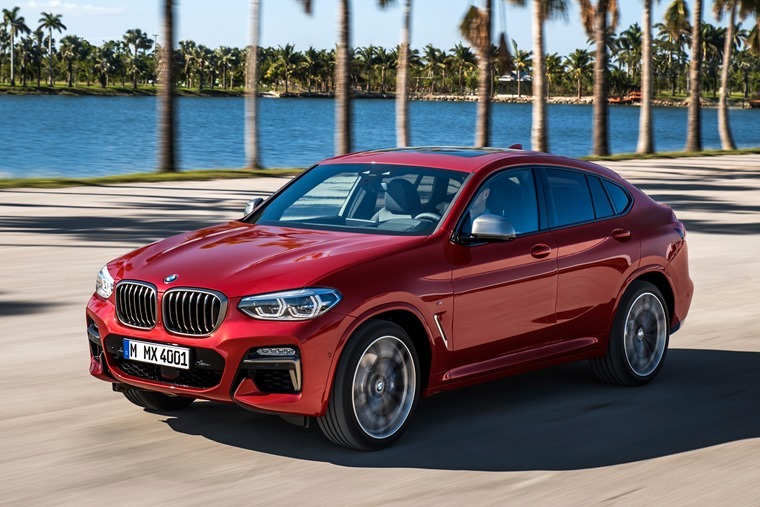 The versatile sportiness of the X4 isn’t just evident in the look of the car but is due in no small part to the standard BMW xDrive all-wheel-drive system. This latest generation of the system adds less weight, while its internal efficiency has been increased while the intelligent all-wheel drive systtem also splits drive power to maximise sporting performance with the rear-biased set-up producing a highly rewarding driving experience, especially when powering through corners. Besides offering superior handling stability, BMW xDrive also enhances traction over loose terrain, endowing the X4 with mild off-road capability thanks to a ground clearance of 204 millimetres, a fording depth of 500 millimetres, breakover angle of 19.4° and angles of approach and departure of 25.7° and 22.6° respectively. Needless to say, the Sports Activity Coupe takes everything in its stride, from crests and bumps in the road to gravel tracks, deep snow and steep slopes when leaving the asphalt behind. 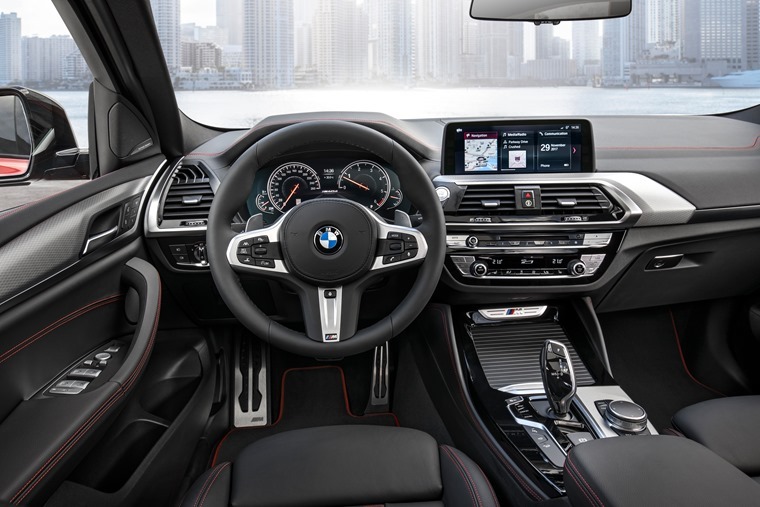 On the inside, the X4 gives a modern, premium feel, with all the controls in the driver-focused cockpit clearly arranged, while the slightly raised seating position typical of BMW X models affords drivers a superb view of the road ahead. The X4 comes with the latest version of the iDrive operating system, designed to offer even more flexible and ergonomic control of vehicle, navigation, communication and infotainment functions. Its Control Display now takes the form of a freestanding monitor with a 6.5-inch screen, while the high-resolution display that comes with the Professional Navigation System measures 10.25 inches in size and includes touchscreen functionality and a Semi Digital Cockpit. 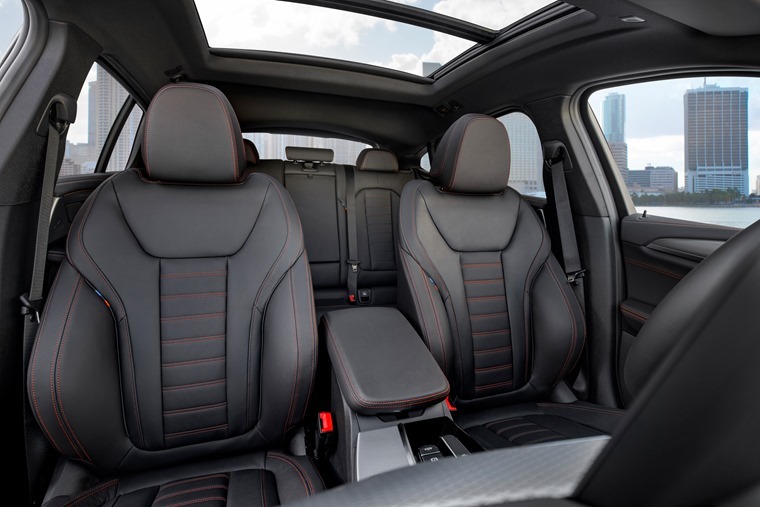 Redesigned sports seats with boldly contoured side bolsters provide outstanding lateral support even in extreme handling situations while large stowage trays, roomy door pockets, cupholders and various storage compartments add extra practicality. In the back passengers are provided an additional 27mm of legroom over the previous model. The boot has a capacity of 525 litres and the load space can be expanded to a maximum of 1,430 litres in a 40-20-40 split. 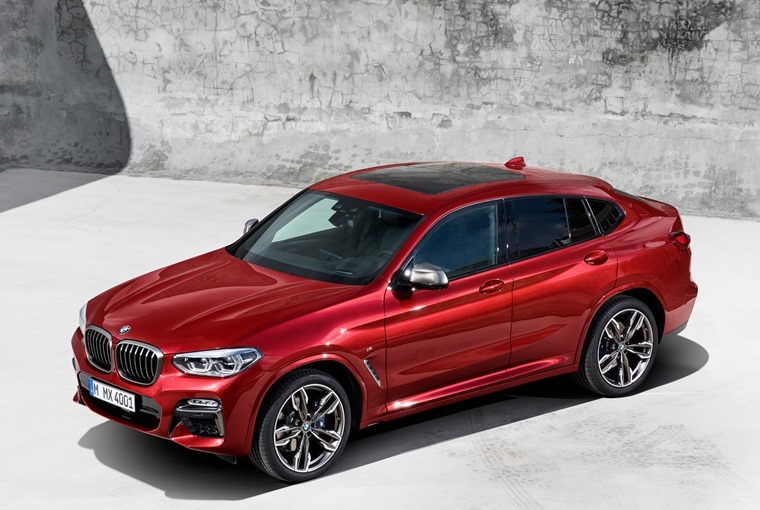 The X4 will come equipped as standard with Cruise Control with braking function as well as Collision and Pedestrian Warning with City Collision Mitigation. The optional semi-autonomous Active Cruise Control with Stop & Go function is capable of braking the vehicle to a halt and setting off again automatically. Outside of the standard Sport model which marks the entry point to X4, two optional M-Sport variants will allow drivers to tailor the appearance of the all-new BMW X4 to reflect their personal tastes, with the M-Sport model having a more dynamic look, clearly stating its eagerness to deliver performance on the road while the newly designed M Sport X model radiates an air of off-road-focused sportiness. Similar to the X3, the new X4 will be launched with a choice of two diesel engines – xDrive20d and M40d. Their advanced BMW TwinPower Turbo technology promises dynamic power delivery accompanied by remarkably low fuel consumption and emissions. On top of that, every version will have M-Sport suspension as well as speed-sensitive steering to allow for easy manoeuvrability at low speed and more feel at high speed. 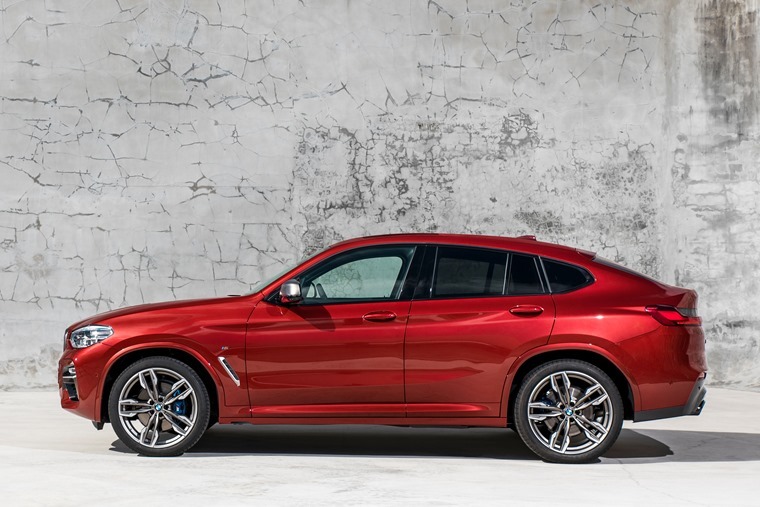 The new BMW X4 goes on sales on 15 February 2018 with prices starting at £42,900 OTR. Lease deals are still TBC.